Our technical team joins customers in the field to gather vital information and assists plant production teams in implementing and monitoring changes. We believe that trust is the foundation of any good relationship, so we listen to our customers' needs and provide quality solutions that strengthen that trust. 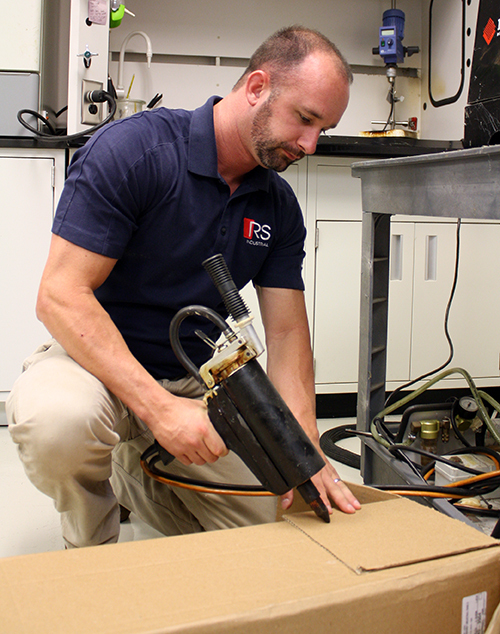 Our on-site lab, RS Labs, provides access to a wide array of equipment necessary to perform customer and application-specific testing. We deliver hands-on adhesive tips, guides and resources designed to help engineers solve their manufacturing challenges. If you need to reach us, we will have a customer service representative on call at 770-844-1748. We will reopen for regular business on Monday, April 22.